Obviously this was a recommendation from Natasha, it would have to be 😉 Well, I must say that after the last few books from Roberts, I was a little sketch about reading anything else. Natasha insisted that I would likely enjoy this one, and that there was a bit more of a villain here. Seeing as Roberts novels are rather quick reads, I indulged. Something I learned here about the writer (the more that I read her work) is that she writes very well about big, Italian families that are all super involved with one another. It just comes across as more genuine than when she tries to write about single characters and small/non-existent family units. So on that alone I enjoyed this far more than any of the other ones I have read from her lately. 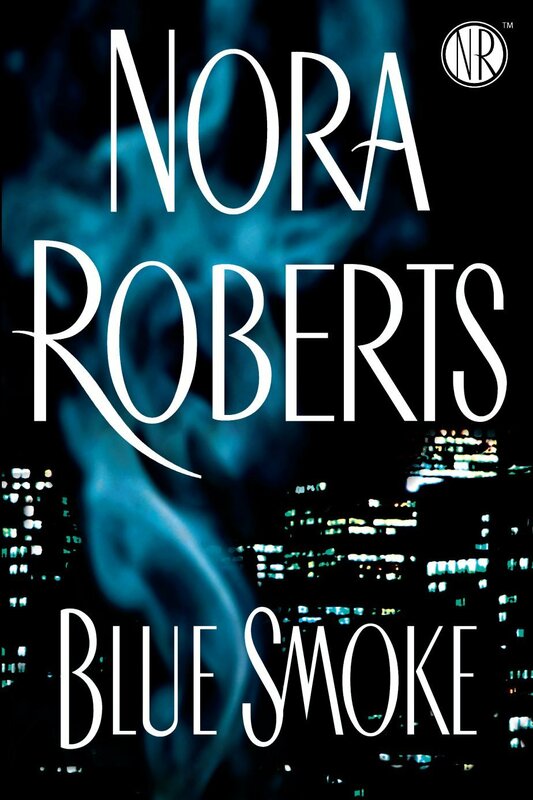 Blue Smoke, while having its predictable moments, was not a bad read, and kept me entertained throughout. The villain is pretty obvious, and is typical with most books, the final confrontation was a bit of a cop out. Everything leading up to that was interesting though, which seems to be a flaw with most writers. Build up a story and a villain and get us invested and then fumble because they have no idea what to do now that the expectations are weighing up. Oh well. It just felt like the whole villain thing was a little convoluted and could definitely have been worked on a little more. I liked the fire aspect, and Reena was a much better female lead than most books can boast about – she is strong, on her own, dedicated, comfortable with herself and doesn’t need a man to define her. The relationship between her and Bo later on was something I expected a bit more from, and I thought things were a little hurried and unromantic there at times because of the setup we were presented with right in the beginning, but it doesn’t detract. I liked that, while the romance came in later and was important, this book didn’t feel fixated on banging each other and expressing undying love. It was centred strongly on the family, Reena’s career, the family restaurant and the ties between people. Time progressed nicely, and you never lingered anywhere longer than you had to. The characters were decent, too. Not too many got focused on too closely aside from Reena and Bo, but the supporting characters were entertaining and funny, serious, sweet, whatever they were required to be at the time. I was surprised by how graphic Roberts got about some things nearing the end – not because I mind graphic (I read far worse on average), but because this was so unlike anything I had ever read by her. There was more meat to this. Not a bad read, if you don’t mind some romance laced in between a light and simple suspense story.